With the collapse of the ISIS terrorist group in Syria and Iraq, human rights and security experts say it’s time for Ottawa to stop dragging its feet and take action to bring Canadians who joined ISIS to justice, whether they are detained abroad or have already returned. 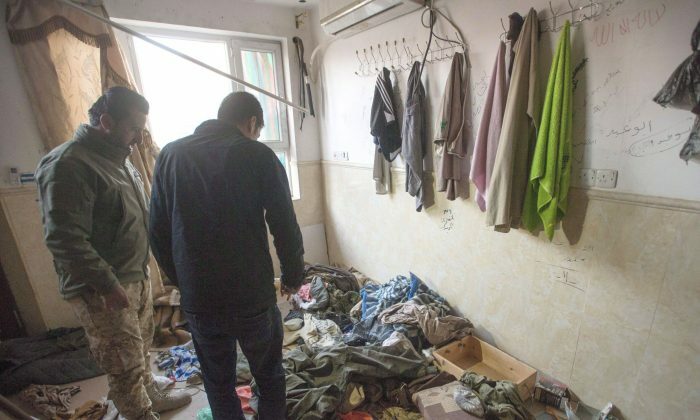 Kurdish officials are currently holding 13 Canadian citizens—including three jihadi fighters, their wives, and seven children—in makeshift prisons in northern Syria, but these detainment camps are overstretched and authorities want Canada to take back its citizens, according to a Global News investigation. “A lot of people are saying we should just let them rot over there and I can understand that sentiment, but when you think about it, these people were radicalized in Canada, they were recruited in Canada, and they left to go over there from Canada,” said Scott Newark, a criminology professor at Simon Fraser University and a former Crown prosecutor. The federal Liberals have been criticized by the Official Opposition and national security experts for not coming up with a concrete plan to prosecute returning extremist fighters. Talk of reintegration and rehabilitation for those who left Canada to participate in terrorism has been greeted with derision. Although few details have been made public about how the government is dealing with returning citizens who joined ISIS or other terrorist groups, Public Safety Minister Ralph Goodale has said that returnees who have been found to engage in activities related to terrorism will face prosecution. He added, however, that one of the biggest challenges for security and police agencies is to collect evidence that will stand up in a court of law. With more than 900 foreigners who fought for ISIS held in Syria that the Kurds want gone, how to deal with them when they return home is a dilemma several other countries besides Canada are facing. Allies such as Britain, France, and the United States have a policy of targeted assassination of citizens who fight on the side of ISIS, but Goodale has said “Canada does not engage in death squads.” Canada also hasn’t gone the route of stripping ISIS militants of their citizenship, as countries like Australia and the United Kingdom have done, although it will cancel passports. “There was an estimate where there are over 100 countries that have citizens that have been identified as being engaged in this, and different countries do it differently,” said Newark. A CSIS report estimates that about 60 people they have identified as jihadists already returned to Canada. Another 180-190 terrorist fighters who have ties to Canada are known by the government to be still overseas, but many of those are thought to have been killed in battle. Since 2016, just four returnees have been charged with terrorism-related offences. Two were convicted, and the other two cases remain before the courts, according to the Ministry of Public Safety. Britain and the United States have had better success. Of the estimated 400 Britons who have returned to the U.K. after leaving to fight for ISIS, 40 have been successfully prosecuted. In the United States, 135 people have been charged for their affiliation with ISIS and 77 convicted, according to the Soufan Center. Newark wants to see the federal government put forward a proactive strategy that would include gathering admissible evidence to prosecute Canadians who joined ISIS. “Let’s first find out who we are dealing with, how many people are there, and find out what information do we have already on them that could be admissible in court,” he said. Newark, who was a security policy adviser for Canada, said converting intelligence and gathering new evidence from overseas combat zones in order to prosecute the Canadian ISIS terrorists is a difficult process but not impossible. He said Ottawa should be enhancing the RCMP-led Integrated National Security Enforcement Teams to work with other agencies like the Public Prosecution Service of Canada and be deployed in the Kurdish-controlled territories where Canadian jihadists and their families are being held. There, they could gather evidence and build potential cases for prosecution by interviewing detainees. If Canadian authorities can’t arrange for local prosecution or plea deals and have the terrorists transferred immediately back to home soil, then the government should attempt to arrange plea bargains so offenders can be incarcerated upon their arrival back home, he said. “This is very much a case-by-case scenario. The prime minister is correct when he said this is not a one-size-fits-all scenario,” said Newark, adding that electronic monitoring, peace bonds, and social media scouring are other approaches the government should employ. Kyle Matthews, executive director of the Montreal Institute for Genocide and Human Rights Studies at Concordia University, said public pressure is mounting to address the issue and commends good journalism for helping expose the lack of evidence-gathering by Ottawa. “How is it that a Canadian journalist is able to go into this area and get information on Canadians but our own government officials don’t seem to be doing that?” he said, referring to Stuart Bell at Global News who travelled to Iraq and northern Syria and interviewed some Canadian ISIS fighters held in captivity. Ultimately, for Matthews, the rule of law and Canada’s reputation as a human rights advocate should propel Ottawa to do more. “These people who went off to Iraq and Syria, we know they have committed serious human rights violations that are unimaginable, such as sexual slavery and genocide,” he said. Goodale has said he is waiting for amendments to Bill C-59, the Liberals’ anti-terror legislation currently before the Senate which gives some special powers to investigate suspected terrorists. Meanwhile, a motion passed in the House of Commons Oct. 22 from Conservative MP Michelle Rempel asking Prime Minister Justin Trudeau and his government to table a plan to prosecute anyone who left Canada to fight with ISIS, approved in a vote of 280 to one. Both Newark and Matthews said they are cautiously optimistic that the Liberals will come up with a plan and show leadership in getting more prosecutions for ISIS militants. “We cannot give these people the benefit of the doubt and pretend that they are all innocent and they were simply just bus drivers or cooks. They engaged in an enterprise that was bent on destruction, death and killing, and crimes of sexual slavery—crimes so severe that from a moral perspective we can’t just turn our back,” Matthews said. He adds there needs to be a strong deterrent through legal recourse, given that ISIS has a growing presence in Libya, Afghanistan, Philippines, Mali, and West Africa. Jared Gnam is a freelance reporter based in Vancouver.